Ramiro Guillen, M.D. completed his psychiatric residency at Menninger Department of Psychiatry and Baylor College of Medicine in Houston, Texas. During those four years, he had the advantage of working at the Texas Medical Center in Houston, one of the largest and most diverse medical centers in the world. Rotating through seven of the affiliated hospitals has enabled him to obtain broad-based training and develop competency in a wide spectrum of treatment modalities in county, federal, and private non-profit settings, comprised of multi-ethnic populations from different socioeconomic backgrounds and educational levels. Dr. Guillen went on to complete a subspecialty fellowship in Child and Adolescent Psychiatry at University of Miami Miller School of Medicine Jackson Memorial Medical Center, a program that emphasizes the treatment of patients and families through a continuum of care, based on a developmental perspective combining psychodynamic, psychosocial, biologic, behavioral, and cognitive approaches. Dr. Guillen held an academic position as Assistant Professor of Psychiatry at State University of New York Upstate Medical University from 1999 to 2003. He served as Director of the Comprehensive Psychiatric Emergency Program for United Health Services Hospitals. He has received several distinguished awards from the American Psychiatric Association. Dr. Guillen has lectured extensively both nationally and internationally. His areas of interest are the long-term course of psychiatric illness, including psychotic disorders, mood disorders, anxiety disorders, and the impact of neuropsychopharmacologic compounds on their clinical course. Dr. Guillen has conducted and published research on atypical antipsychotic use in adolescents with the spectrum of psychotic disorders. Dr. Guillen was the former Chief Medical Officer for Southwest Behavioral & Health Services, a large non-profit organization whose mission is to seek solutions and create change and to offer evidence-based clinical care to the underprivileged with severe mental illness through culturally and linguistically responsive care coordination. He has been at the forefront of public education to dispel the myth and stigma surrounding children, adolescents and adults living with psychiatric disorders. For over twenty years he has overseen the management and administration of community health programs ensuring that all patients have access to integrated healthcare of the highest quality in the most empathic patient-centered environment possible. Dr. Guillen is Chief Medical Officer for Chicanos Por La Causa (also known as CPLC) was founded in 1969 to confront oppression facing Latinos in Phoenix, Arizona as part of the movement led by Cesar Chavez, who undertook a fast at our original headquarters. Since then, we have become one of the largest Hispanic nonprofits in the country, promoting stronger and healthier communities throughout the southwestern United States. We provide direct services impacting more than 306,000 individuals annually in Arizona, Nevada, and New Mexico. Our vibrant community presence spans a comprehensive range of bilingual and bi-cultural services in Health & Human Services, Housing, Education, and Economic Development. As one of the largest community development corporations in Arizona, we are focused on individuals and families with low to moderate income levels and complement our services with cultural and linguistic competencies. 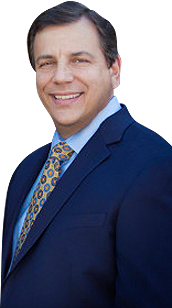 Dr. Guillen has been in Private Practice with his wife, Marilyn Pupo-Guillen, MD for since 2004 in their Scottsdale office.